Find the latest MLS listings in Maryland and gain access to the results oriented real estate agents at the Craig Brown Group - RE/MAX Realty Centre. Specializing in Homes for Sale in MD including Montgomery County Md. 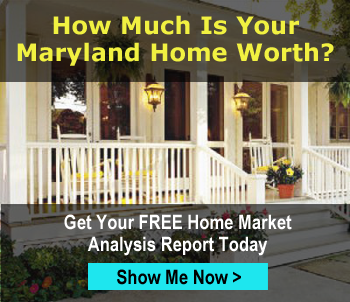 Homes for sale, Frederick County MD Homes for sale, Carroll County MD Homes for sale, Howard County MD Homes for sale and Homes for sale in Washington County MD. If you are looking for a real estate agent in Maryland, The Craig Brown Group - RE/MAX Realty Centre is a one of the areas leading real estate companies. From condos for sale, single family homes for sale, land for sale, or farms for sale in Maryland. We have experienced real estate agents that can help you buy a home or sell a home, and assist you all the way through to the end of the real estate transaction. Looking for a brand new home? We can help you find your new single family home in Gaithersburg, your new construction home in Urbana or spacious town home in Frederick. We work and live in this area so we can answer all of your questions about what living in Maryland is all about. To get started. Give us a call! If you want to start with a quick search to see homes for sale in MD, try our easy MLS search. The counties we specialize in are highlighted and linked for your convenience. 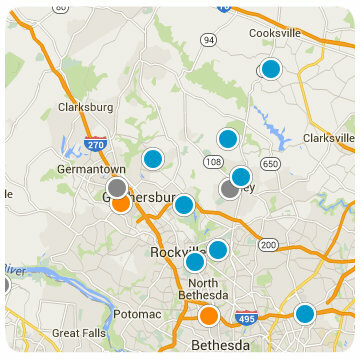 Our hassle free search engine gives you easy access to all of the Real Estate Home and Property Listings in Maryland. We’ve made searching for homes, townhouses & condos easy. Our site offers you a complete and informative search to help you quickly find the best Maryland homes for sale. Forget Trulia, Zillow or Realtor.com. Not only do we have customized searches here but we are experts in Maryland Real Estate. We know the neighborhoods, the towns, the schools and everything else you care about when you are choosing a place to live. Go with the people who know Maryland Real Estate. Hire The Craig Brown Group - RE/MAX Realty Centre.